Photo sharing moved almost entirely into the digital realm, but there’s still something special about pulling a snapshot out of your wallet to show off. 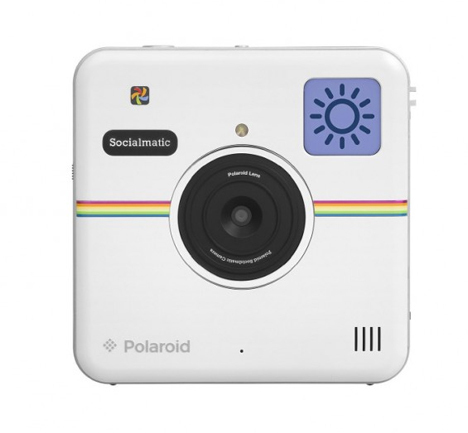 Polaroid has created the best of both worlds with the Socialmatic camera: an instant print camera that also posts your images to Instagram, Twitter, Facebook, Pinterest and other apps. 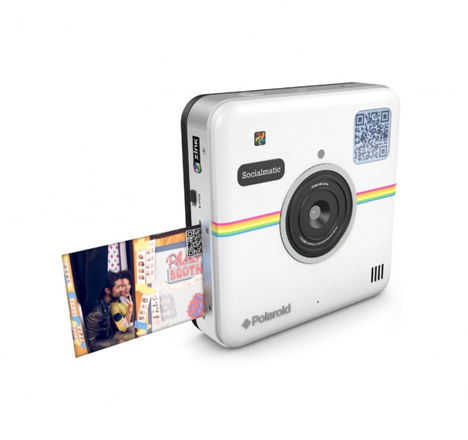 The Socialmatic camera prints out 2″ X 3″ images with Zink Zero Ink printing technology. They’re smudge-proof, tear-resistant, and water-resistant. But even if something were to happen to one of your picture print-outs, you’ll have a backup online. Built-in wifi connects your Socialmatic to the internet. If you’re in a location with no wifi, the Socialmatic also connects to your mobile device via Bluetooth so it can upload from anywhere you get cell phone service. 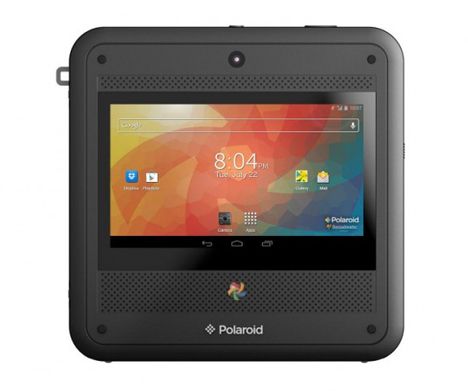 Remarkably, the camera is also a tiny Android computer with a 4.5 inch touch screen, stereo speakers, and 4 GB of onboard storage. 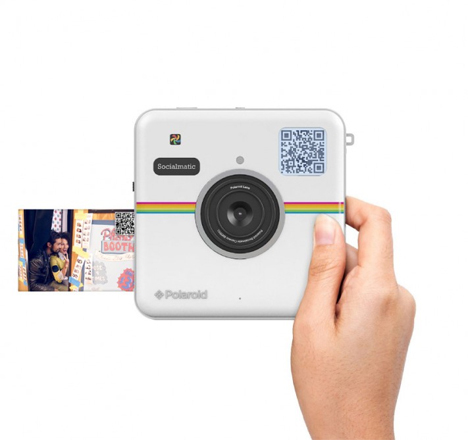 It lets you browse the internet and check email, though that kind of seems like Polaroid is stretching the features a little too far. 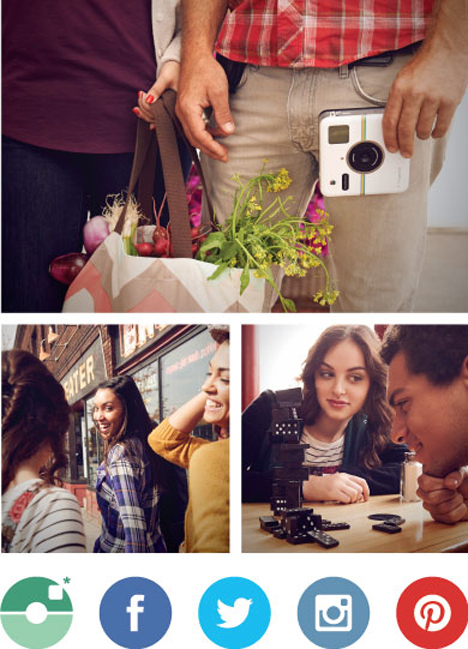 The 14 megapixel forward-facing camera is complemented by a smaller 2 megapixel backward-facing selfie lens. When it goes on sale in early 2015 it will retail for $299. See more in Camera & Video or under Gadgets. December, 2014.